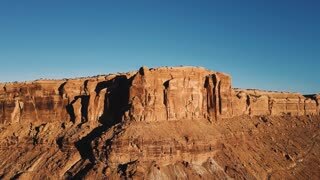 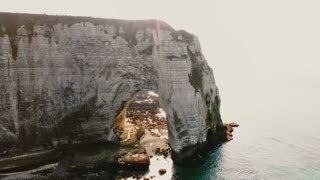 Drone flying above epic natural alabaster rock arch and pillar at famous white seaside cliffs of sunny Etretat Normandy. 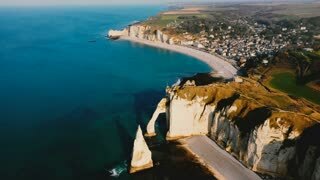 Static aerial drone shot over epic white cliff coastline, amazing azure seaside bay at beautiful town Etretat, Normandy. 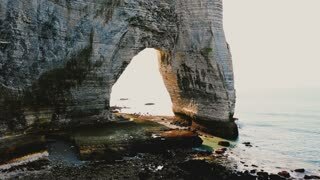 Amazing panning drone shot of epic natural eroded alabaster rock arch and famous white sea cliffs on sunset at Etretat. 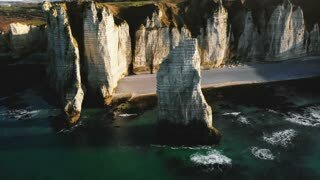 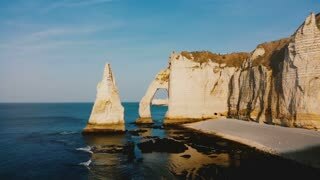 Drone flying high above epic natural rocky arch and pillar at famous white chalk seaside cliffs of Etretat Normandy. 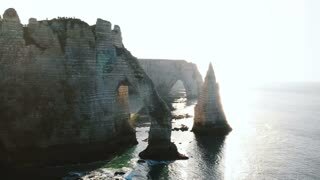 Drone flying through epic natural rocky arch at famous white chalk seaside cliffs at Etretat Normandy on amazing sunset. 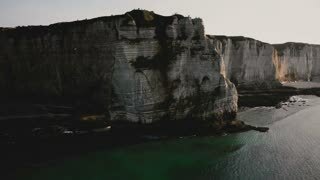 Drone flying right along epic natural rock arch at famous white alabaster seaside cliffs at Etretat Normandy on sunset. 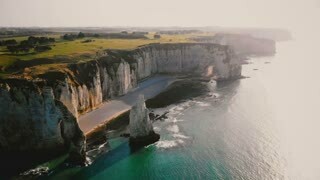 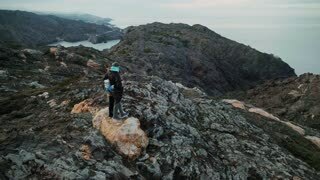 Long drone tracking shot over epic famous white cliffs at Normandy shore with natural rock arches and tourist couple.